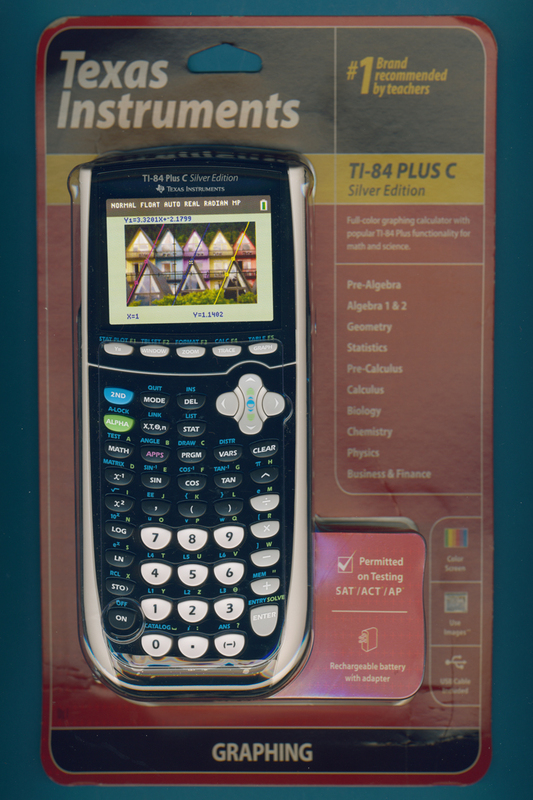 This colorful TI-84 Plus C Silver Edition was introduced for the Back-to-School 2013 campaign by office product retailer Staples together with its pink sibling. While the early members of the TI-84 Plus calculator family use AAA-sized alkaline batteries accommodates the Color version an internal Li-ion battery with a capacity of 1,200 mAh and a voltage of 3.7 Volt for a typical operating time of 50 hours. A USB type wall charger is included with each unit but for classrooms is the TI-84 Plus C Charging Station available. It holds up to 10 calculators and charges them with two small contacts located in the front of the calculator.